This supermaterial just gained another power. 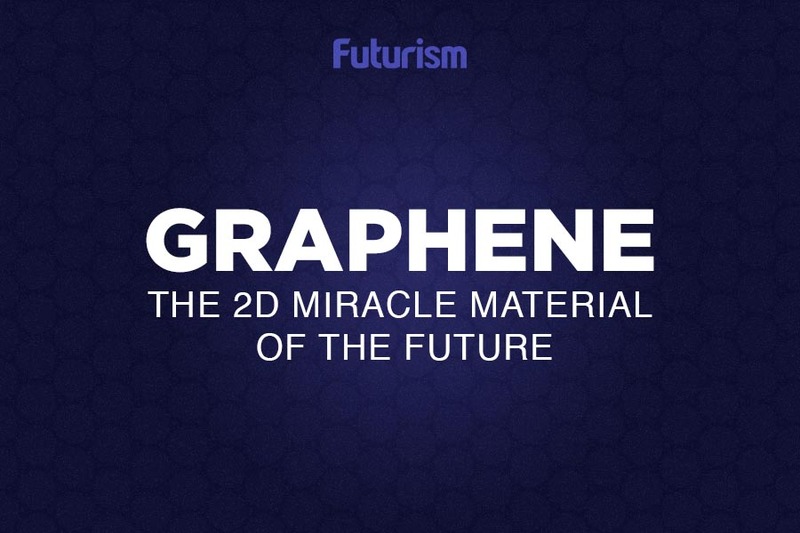 Since it’s discovery, graphene has been changing our society dramatically. The radically versatile material can filter sea water while also beating steel in tensile strength over 200 times. Now, the material might just save lives by revolutionizing the maintenance of infrastructure. A team of researchers at the Leibniz Institute of Polymer Research in Germany have developed a graphene coating can signal inspectors about potential damage with a simple color change. The team published their results in the journal Material Horizons, elaborating on the development and potential applications of the graphene revelation. The researchers took a close look at nature when approaching their experiments. Taking cues from fish scales and the inner shell of mussels, physicists decided to manipulate the arrangement of molecular structures to reflect light. Rather than following the common practice of adding pigments that only absorb or reflect light, the scientists designed the coating so it can amplify certain wavelengths of reflected light while dulling others. They placed graphene flakes at particular angles that, if compromised, would bounce light back in a different direction that the other, uniform flakes, thereby emitting an alternate colors of red, yellow, and green. This opens up a host of possibilities when it comes to applications. Much of the technology involving transportation requires a complex array of man-made structures coming together to build a cohesive unit. More often than not, it’s difficult to locate damage in the structural integrity of things like bridges and airplanes, meaning that minute flaws could pose great threats that can abruptly lead to failure. With the new coating, inspectors can easily detect a color change that is proportional to the severity of the flaw. Other applications of this material could be for coating wings of airplanes to indicate stress fractures. The safety material may be even more handy for a structure like the new space station. Sending detection equipment into space is extremely costly, so simply applying a thin graphene coating to equipment that would allow for astronauts to pinpoint fractures with just a visual inspection could potentially help space agencies conserve their resources. But before we implement the new coating technique, more testing is needed to determine whether the coating material can stand up to conditions in the real world.